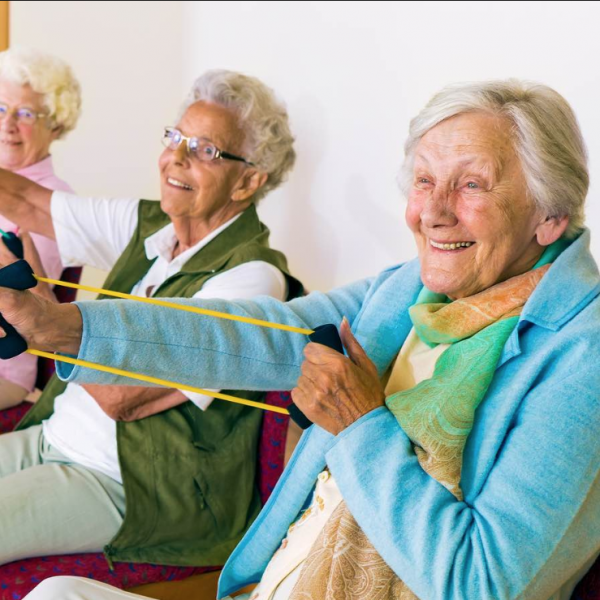 Educating people with stroke about community-based exercise programs (CBEPs) is a recommended practice which physical therapists (PTs) are well-positioned to implement; sometimes community rehabilitation is more effective. The objective of this study is to evaluate the provision of education about CBEPs to people with stroke, barriers to providing education, and preferences for resources to facilitate education among PTs in neurological practice. A link to the questionnaire was e-mailed to PTs in a provincial stroke network, a provincial physical therapy association, and on hospital and previous research lists. Responses from 186 PTs were analyzed. The percentage of respondents who reported providing CBEP education was 84.4%. Only 36.6% reported typically providing education to ≥7 out of 10 patients with stroke. Physical (90.5%) and preventative (84.6%) health benefits of exercise were most frequently discussed. Therapists reported most commonly delivering education at discharge (73.7%). Most frequently cited barriers to educating were a perceived lack of suitable programs (53.2%) and a lack of awareness of local CBEPs (23.8%). Lists of CBEPs (94.1%) or brochures (94.1%) were considered as facilitators. The percentage of PTs providing CBEP education varied across acute, rehabilitation, and public outpatient settings (p<0.001). While a high proportion of PTs provide CBEP education, education is not consistently delivered to the majority of patients post-stroke. Although a CBEP list or brochure would facilitate education regarding existing CBEPs, efforts to implement CBEPs are needed to help overcome the lack of suitable programs. Lau, C. Chitussi, C. Elliot, S. Giannone, J. McMahon, M. Sibley, K. Tee, A. Matthews, J. Salbach, N.. Facilitating Community-Based Exercise for People With Stroke: Cross-Sectional e-Survey of Physical Therapist Practice and Perceived Needs. Physical Therapy 2015; (): . http://ptjournal.apta.org/content/early/2015/08/06/ptj.20150117.short?rss=1 (accessed 09/10/2015).